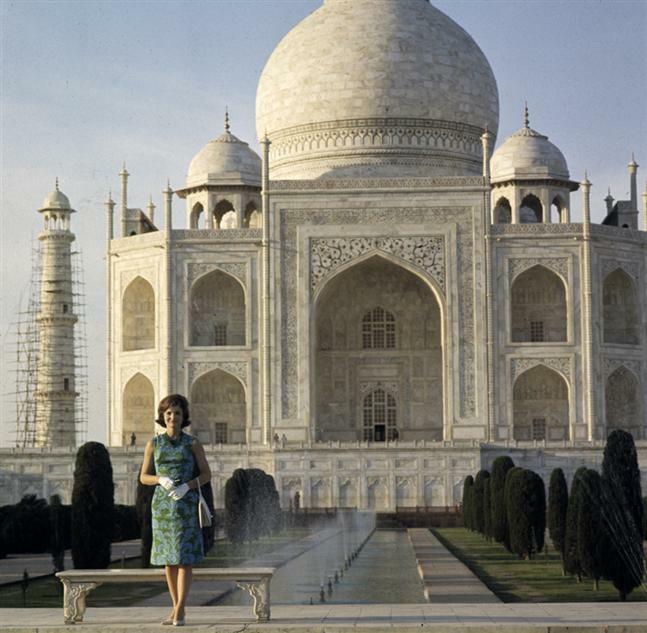 During her trip to India with Prince Charles in 1992, Lady Diana is pictured alone at the Taj Mahal. On a bench (now affectionately known as Lady Di’s Chair) in front of the greatest monument to love, Lady Diana was photographed alone. She sat by herself and posed for customary photographs on a bench in front of the marble mausoleum, during the visit that took place as her marriage to Prince Charles was collapsing. A statement on her solitude and a symbol of her failing marriage, the photograph shifted the public sympathy from the stoic prince to seemingly vulnerable princess. The image would come to epitomize the couple’s estrangement. They split up the same year. wow, these photos are great. I’ve never seen them before, thanks for sharing. I love these pics, as well as lady di. i have always been her great fan to date. rip where ever you are !! Good luck having a photo like this taken. Just remember there will be about a million other people in the shot, trying to do the same thing! The Taj Mahal is closed on Fridays -perhaps that’s when Princess Diana was there. They close the Taj to regular tourists when there is a visiting dignitary – it is also closed on Fridays. Keep this in mind as when we were there we heard of a lady who arrived on Thursay arvo and a US Dignitary arriving on the Saturday – she missed out!! The Iconic photo as it is called was actually quite manufactured, that bench was not there prior to dianas’ visit in 1992, i was there in 1990 & 1991 and where the bench is in these photos was actually bushes, so to call it iconic and suggest that people always sat there is rubbish, given the fact that for the previous 439 years there was not even a seat! no one suggested that people always sat there or that it had been there before. it is iconic because it became a metaphor for her failing marriage (alone in front of a monument to love – get it? ), not because it’s some old bench that has been put there by the original construction workers to have lunch breaks on. I wonder how many years it took them to build finish the Taj Mahal. who was the original photographer? If you read anything about Lady Diana, it was that she hated to be called Lady Di. people but unfortunately led a tragic death.